To support structure where gradual height adjustment is needed, the pivot foot has a small swiveling angle to fit slightly uneven floor. The connection between the pivot base and the spindle can be released with a tool. For this Leveling Survey services we provide. Our rich industry experience as well as service support of experienced professionals from the industry also assist us in successfully matching up with the demands of accurately carrying out Surveying Leveling. 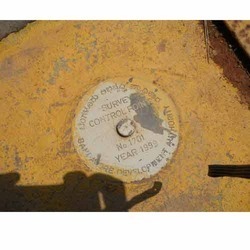 These surveys are carried out by us using latest technology based equipment that ensures the involved tasks related to conducting analysis of sites & fields for leveling processes are well handled by us. Further, our team also allow us to test soil properties as well as other related factors which are crucial for this field. Looking for Leveling Survey ?